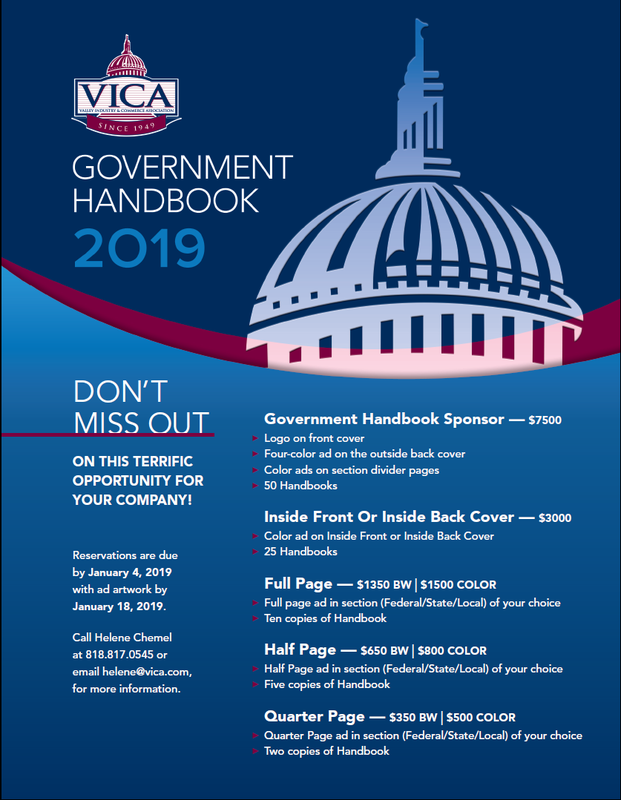 For more information on the 2019 Government Handbook, please click here or call Helene at 818 817 0545. 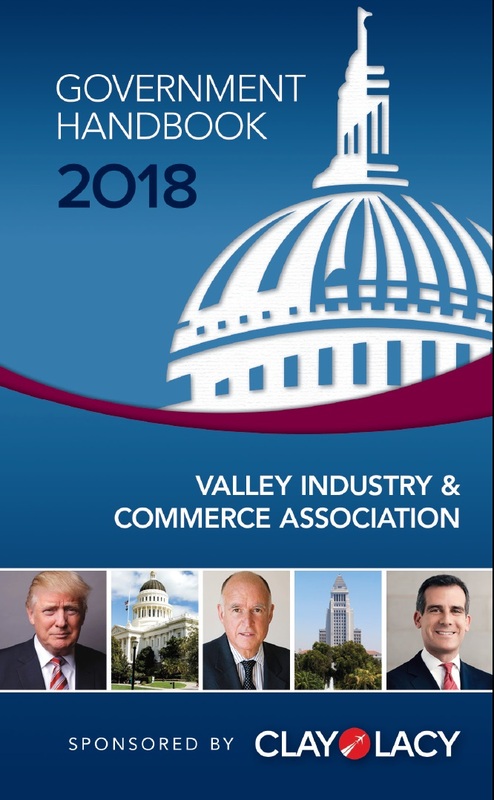 VICA is proud to provide members with the 2018 Government Handbook, sponsored by Clay Lacy Aviation. 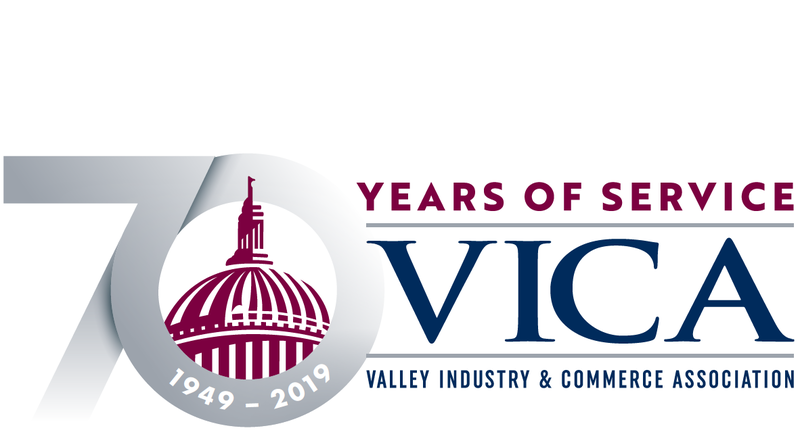 It is your pocket guide to who's who in government and in VICA. We hope it is of value to you and your efforts to communicate with elected officials. Hard copies are available from VICA for $25 (includes shipping and handling). Contact VICA to order copies for you and your staff at (818) 817-0545. The order form is available here.